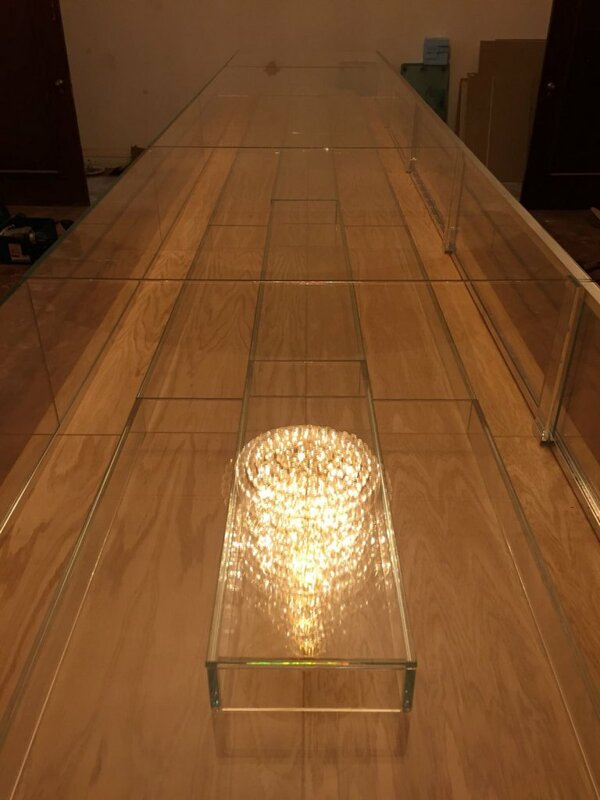 We use UV bonding to secure pieces of glass together. This is done using a curing adhesive which is activated by a UV light and shows no visible sign of the glue itself, to create a perfect finish. We do this in-house in our state-of-the-art factory. 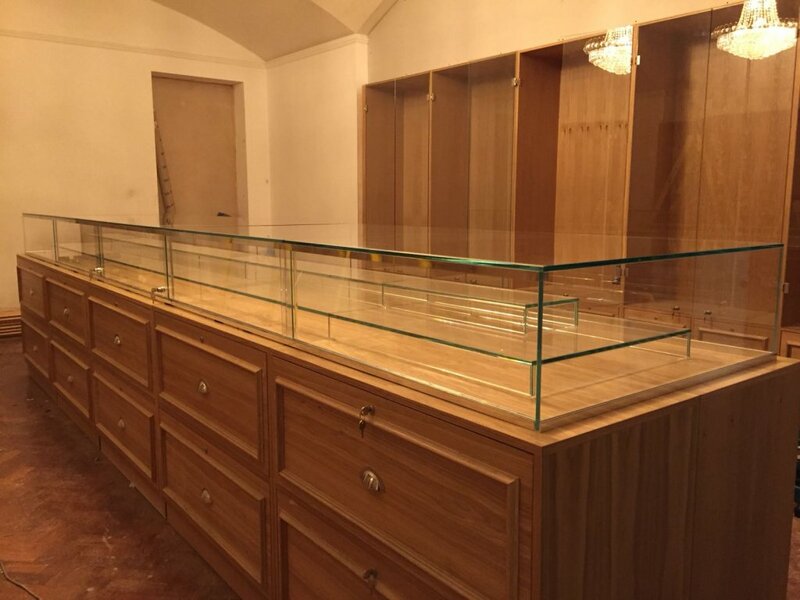 We can use it for shelves, display units, staircases, and far more bespoke items. One customer commissioned us to make a beautiful garden sculpture – there is no limit to what it can be used for. 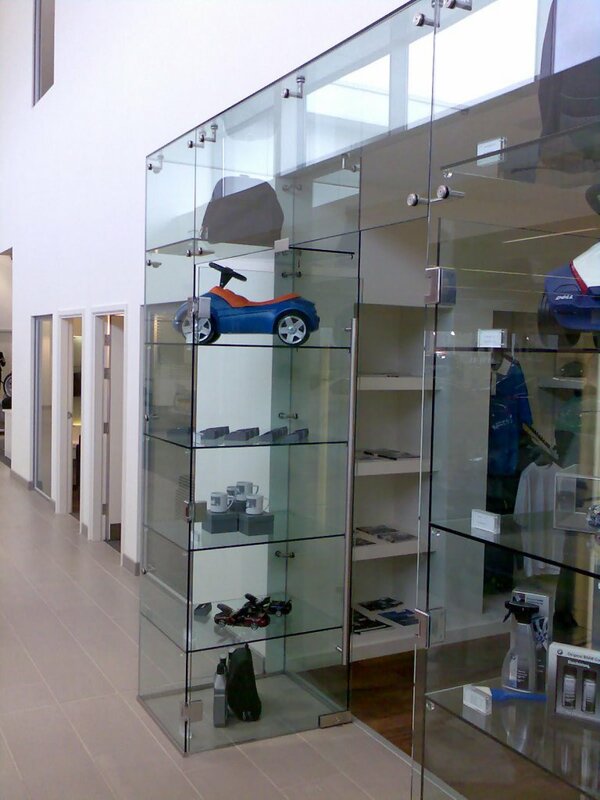 Examples of some commissions that we have UV bonded for customers are glass display cases in Harrods and glass display cases for BMW. We can also install the finished product to your exact requirements if needed.